Light switch sticker designed to give a touch of joy and colour to your children's room. Switch stickers with a drawing of a funny orange cat. 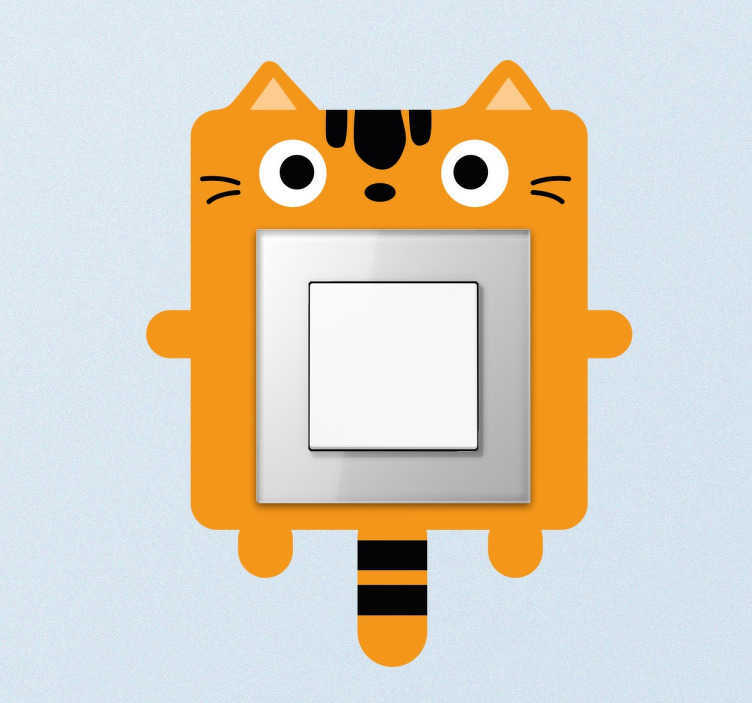 Cat light switch sticker to give an original look to the light switches and plug sockets in their rooms. Decorate your child's bedroom according to their age and tastes so that you can stimulate their imagination whilst also decorating an otherwise un-aesthetic element such as a switch. The measures indicated refer to the box itself. If you have questions please contact us.